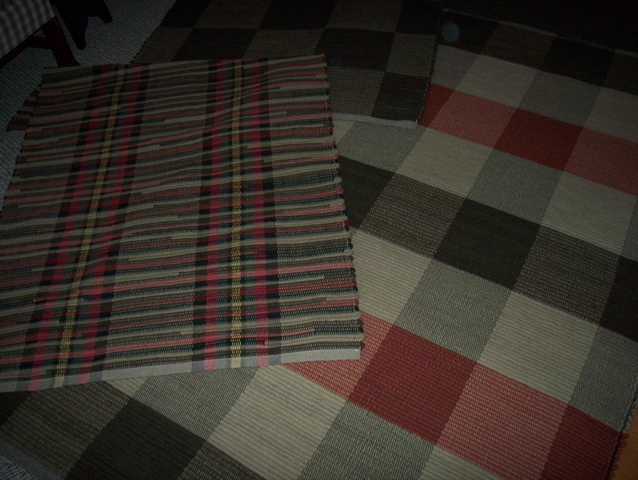 BROWN OLIVE, MUSTARD, CLAY RED IN CHUNKY CHECK. 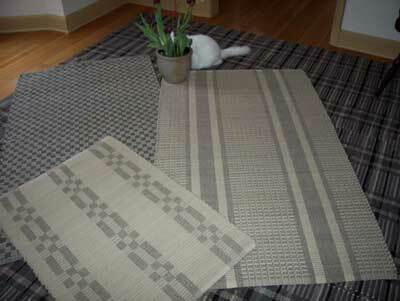 BROWN OLIVE IN LOG CABIN WEAVE 10" AND AMISH WEAVE 1", 1",2"
RUGS ARE MADE OF LINEN AND LT. GREY WOOL WEFT. 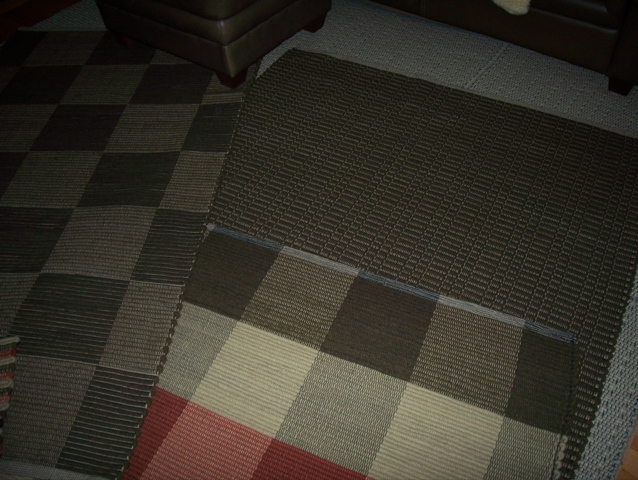 WARP COLORS ARE CHARCOAL AND NATURAL TAN.